Pancake Day is crêping up on us (mark Tuesday 13 February on your calendar) and with it comes excitement as well as pressure to make those perfect pancakes - golden on the outside and light and fluffy on the inside! Head Chef Steve Smith from Michelin Starred Bohemia has got you covered as he has shared his tips on how to make the pancakes of dreams this Shrove Tuesday. Ensure that you have good batter by keeping all of the ingredients at room temperature. Mix the dry ingredients in one bowl and the wet ingredients in another. Incorporate the two bowls of ingredients by making a well in the dry ingredients and pouring in the wet mixture. Stir gently until all of the ingredients are combined and moist. Don’t worry about the lumps in the batter! Once they are on the griddle they will cook out fine. If you overwork the batter the pancakes will turn out tough and chewy. It may be difficult to resist but it is crucial to allow the batter to rest for a minimum of five minutes. This will give the gluten, which you have created from mixing the batter, time to relax and for the lumps in the batter to smooth out. This will give the pancakes a thick consistency and they will turn out fluffier. The rest period will give you time to clean up and prep your pancake toppings. If you are bored of your usual pancakes with lemon and sugar, add flavour into the batter instead. My favourite ingredients to add include spices, citrus zest, herbs, ginger, cinnamon, vanilla extract, chocolate chips, raisins, cheese or sweetcorn! 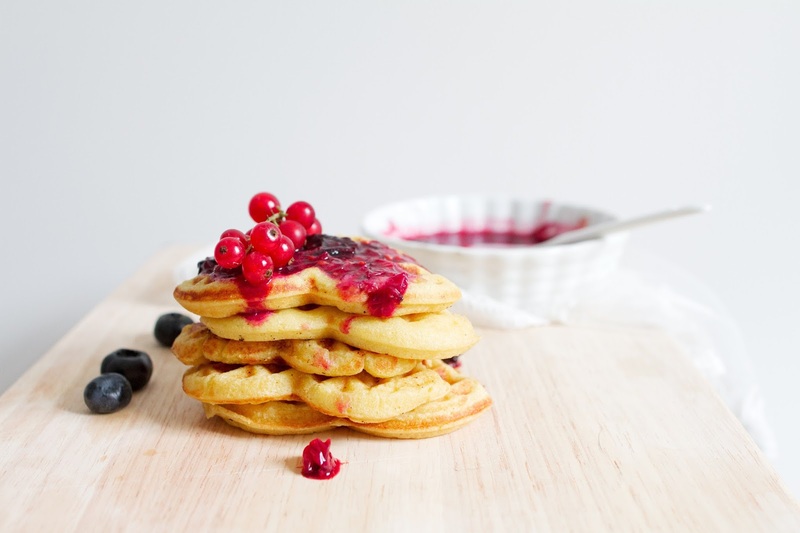 Make shapes with your pancakes by pouring the batter into a metal pastry cutter or mould. Alternatively you can pour the batter into a squeeze bottle and draw your design directly onto the pan. Pancakes are best enjoyed fresh from the pan, but if you do make a whole batch at once keep them warm by arranging them in a single layer on an oiled cooking rack. Place them in a preheated oven at 80°C for a maximum of 15 minutes.